Amazing stuff from bassist Eldee Young and drummer Isaac "Red" Holt! At the time of this release, the pair had already risen to great fame as the rhythm backing for Ramsey Lewis in his first trio – but broke out on their own as a solo act, with a real focus on rhythmic piano grooves! Working here with pianist Hysear Don Walker, the pair attempt to recreate a bit of the rolling soul jazz groove they hit with Ramsey – but they also take a hipper approach, by moving the drums and bass forward in the mix, especially Young's bass, which was capable of amazing funky riffs and elegant whimsical lines. 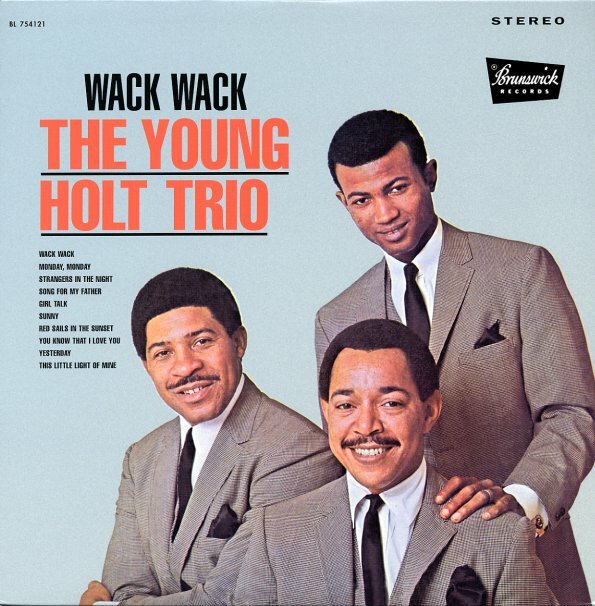 The title cut, "Wack Wack", is one of those 60s instrumental hits we'd put on a par with "Bang Bang" or "Soul Finger" – and the album also includes wonderful versions of jazz and pop hits like "Monday, Monday", "Song for My Father", "Sunny", and "Girl Talk", all of which are completely transformed by the group! © 1996-2019, Dusty Groove, Inc.